Good, all-round thinning with classic black styling. 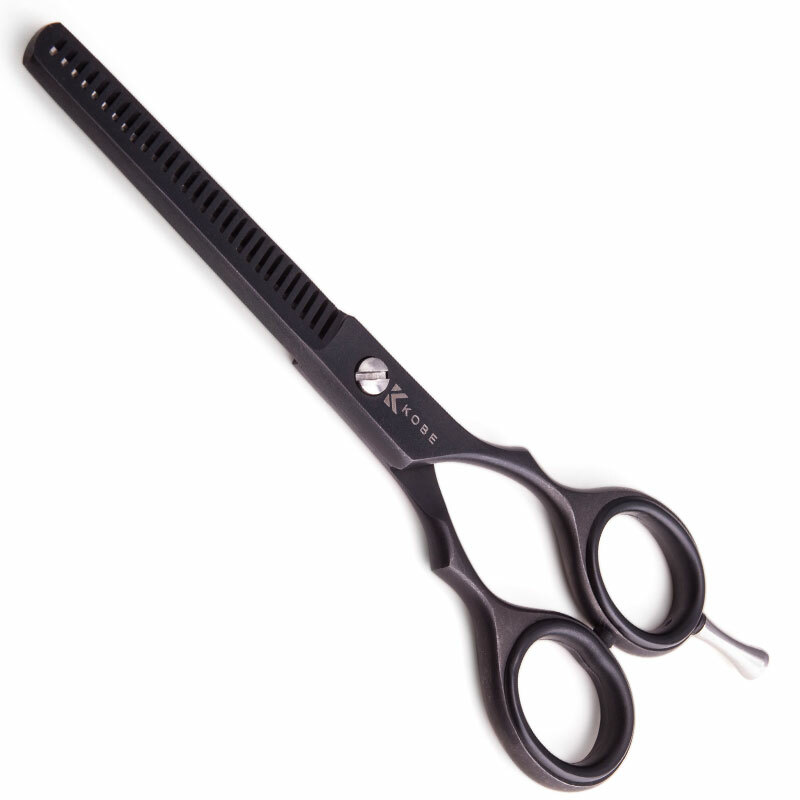 The Kobe Night thinner is the companion scissor to the Kobe Night. It's forged from high grade hardened steel, with smooth, sharp blades coupled with even handles for a classic feel. The handles are shaped with ergonomic finger bumps to help keep your hand relaxed and open, reducing cramp and fatigue. The thinning blade has 28 teeth for good, all-round thinning performance. There's also an adjustable tension screw and a removable finger rest so you can set up your scissors as you prefer. 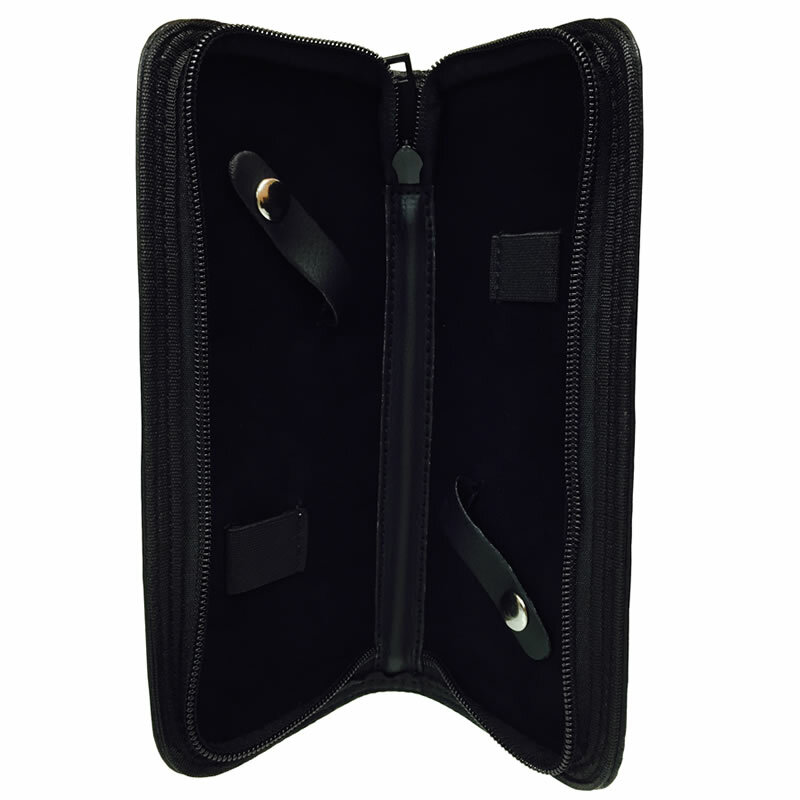 The Kobe Night thinner is presented in a black, zip-up, leather-look scissor wallet. Also available in a set. Don't miss the Kobe Night Scissor & Thinner Set.